From his beginnings as a Corsican soldier, through his rise to power as the Emperor of France, to his final defeat at Waterloo, Napoleon Bonaparte built an empire . . . and a legend. 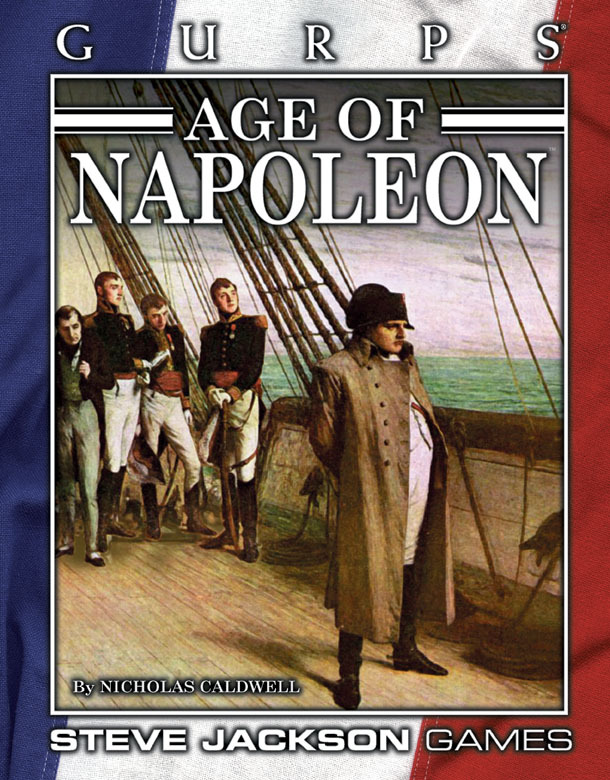 Napoleon was that rarest of men – one whose life defined the age in which he lived. Now that age comes alive for your roleplaying game. 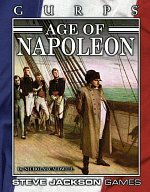 A history of the years leading up to Napoleon's rule, including events in Europe, Asia, and the American colonies. Biographies for dozens of leading men – and women! – of the age, many with GURPS character writeups. Chapters about life under Napoleon, both for the bourgeoisie and for the nobility, and about the culture of the age – music, art, and literature. Suggestions for campaigns in the Age of Napoleon. Play officers in the French fleet, Wellington's foot soldiers, American blockade-runners, or secret agents for any of the empires. Plus detailed maps of Europe, France, and Paris, during and after the French Revolution! It was an age when heroes were made, an age when history was a blank book waiting to be written. It was the Age of Napoleon. GURPS Old West – Come West if you've got the guts for it. The weak die on the trail, and the cowards never leave home. Let's see what you're made of, pardner . . .
GURPS Time Travel – The complete guide to dimension-hopping adventure. Any time, any place, any world, any genre. Anything can happen! GURPS Steampunk – Written by William H. Stoddard, this book combines the mood of cyberpunk with the setting of an alternate Industrial Age, where computers run on steam power, walking colossi stalk the battlefields, flying ironclads rule the skies, and science is the new frontier.